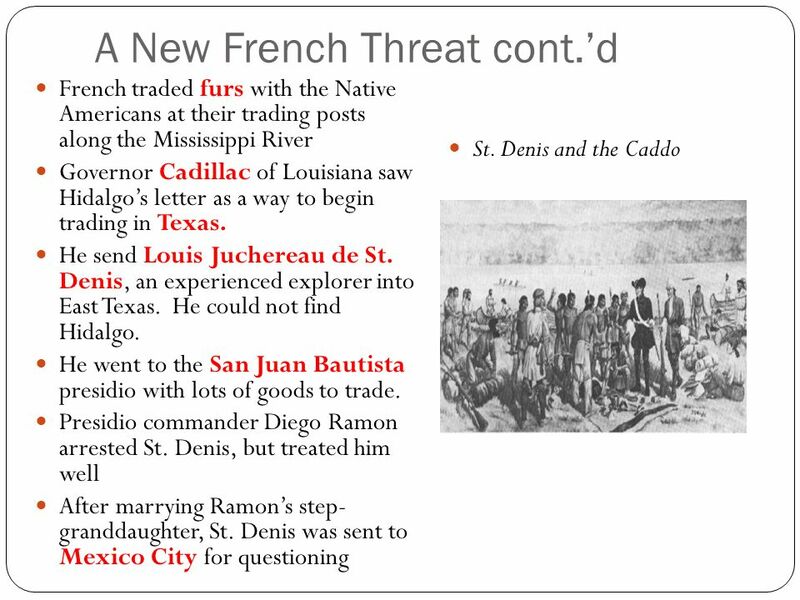 2 A New French Threat After the settlement failures in East Texas, the Spanish ignored Texas for 20 years. Father Francisco Hidalgo wanted to return to East Texas and work with the local Indians. Spain said no. He wrote a letter to the French governor of Louisiana to help build missions. It was a daring move because France and Spain were enemies. 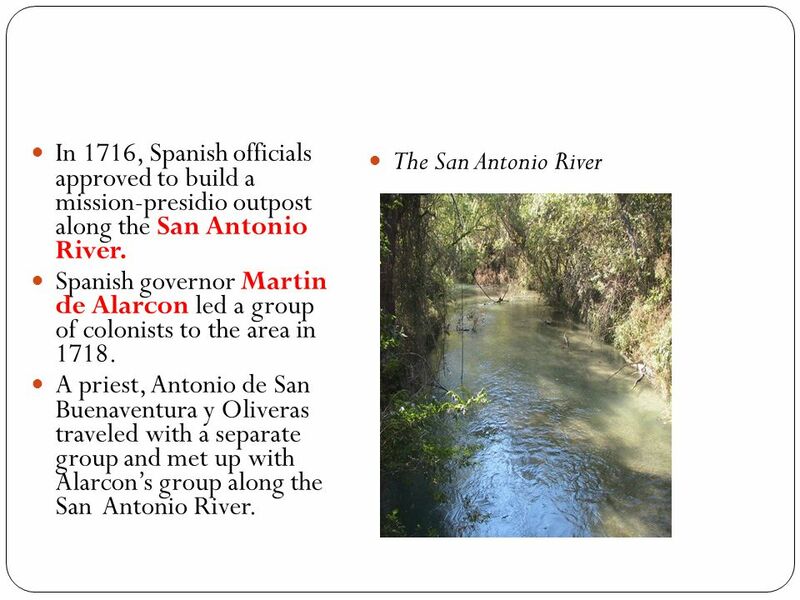 5 In 1716, Spanish officials approved to build a mission-presidio outpost along the San Antonio River. They built San Antonio de Valero (the Alamo) which was simple and made of mud and straw. 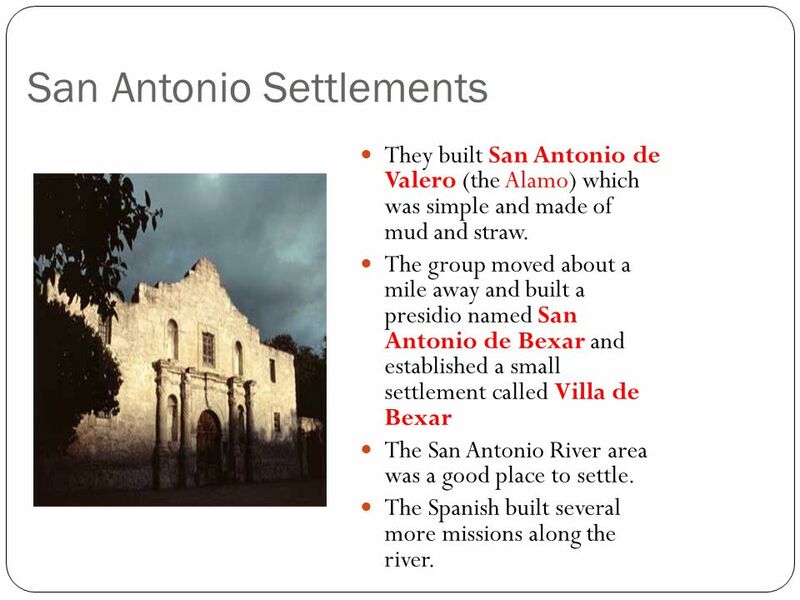 The group moved about a mile away and built a presidio named San Antonio de Bexar and established a small settlement called Villa de Bexar The San Antonio River area was a good place to settle. The Spanish built several more missions along the river. 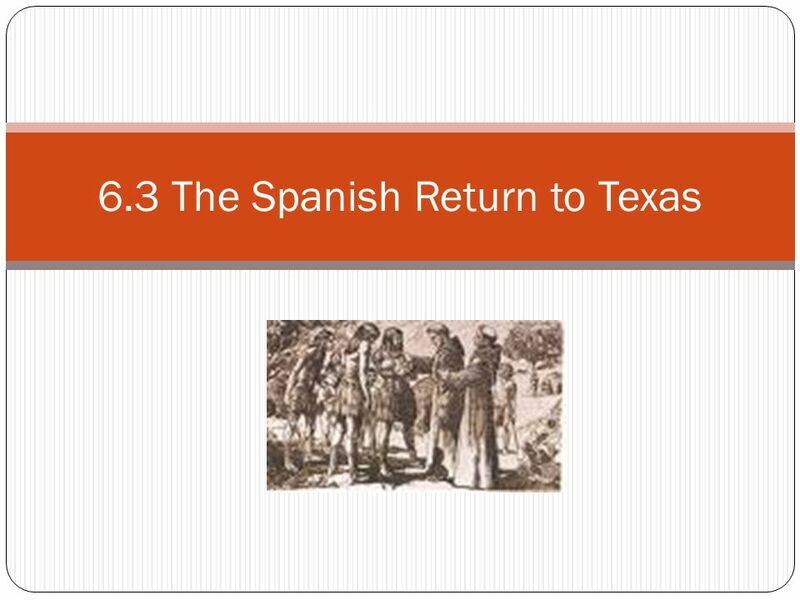 Download ppt "6.3 The Spanish Return to Texas"
Missions and Settlements CHAPTER 5. Turn to the next blank page in your spiral. Fold the page into three sections lengthwise. Write the chapter title. 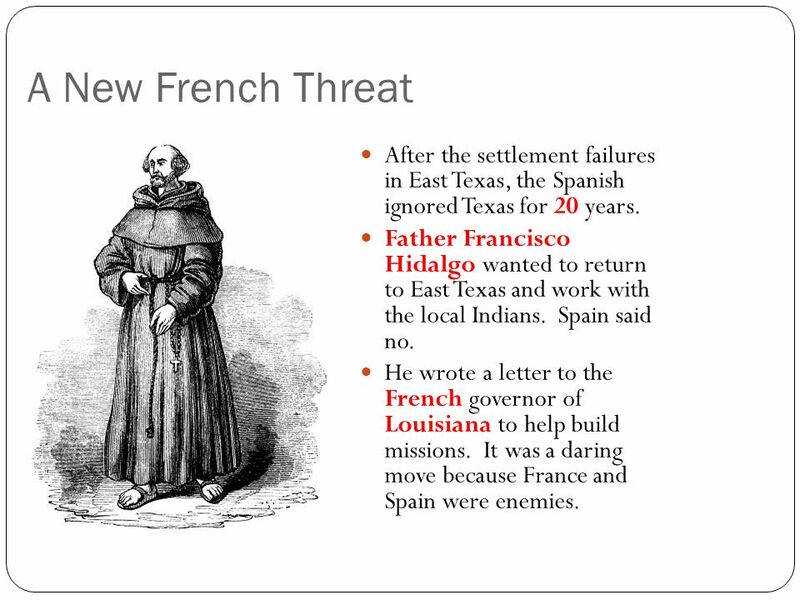 SPAIN EXPANDED EFFORTS TO COLONIZE “TEXAS” TIME PERIOD: LATE 1600’S TO EARLY 1700’S REASON: TO STRENGTHEN SPAIN'S CLAIM TO THE LAND 1691: SPAIN CREATES. Missions and Settlements p.118 First Missions are Built. Spanish Settlements Ch. 5 Section 2. 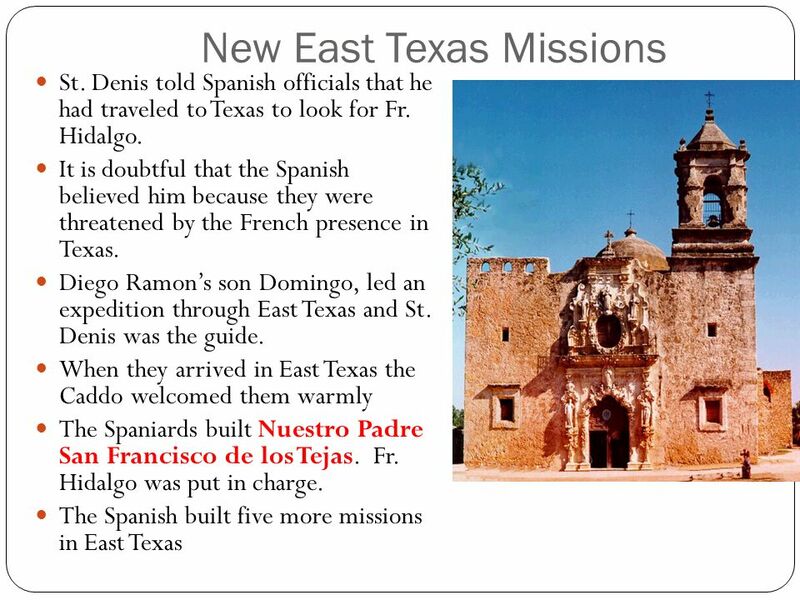 Missions Established in East Texas ► In 1716, guided by St. Denis, a large Spanish force led Spanish families to. 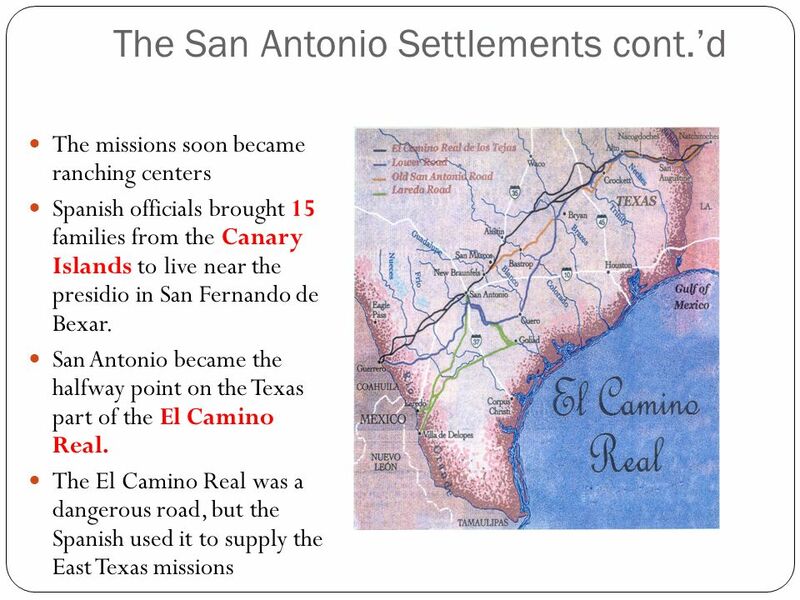 Explorers and Settlers Spanish Settlements p. 124. 1. Mission Settlements First Mission Are Built 2. The Race For Texas Chapter 6.1 and 6.2.